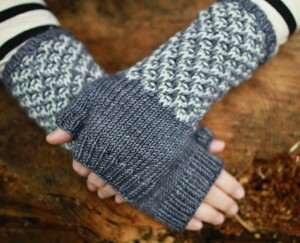 As the temperatures begin to tumble, we all need a full collection of fingerless mitts. 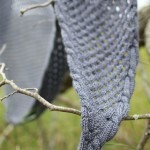 A pair of Burning Leaves, knit in your favorite Plucky sport weight, are quick and easy. The slipped stitch detail on the arms is the perfect place for that little leftover bit of yarn you have been saving…just because the color makes you smile! Be bold or be subtle, here is a great opportunity to play with lights and darks, shadows and color schemes.